Here is a look at my card today over at the Joy Clair blog! 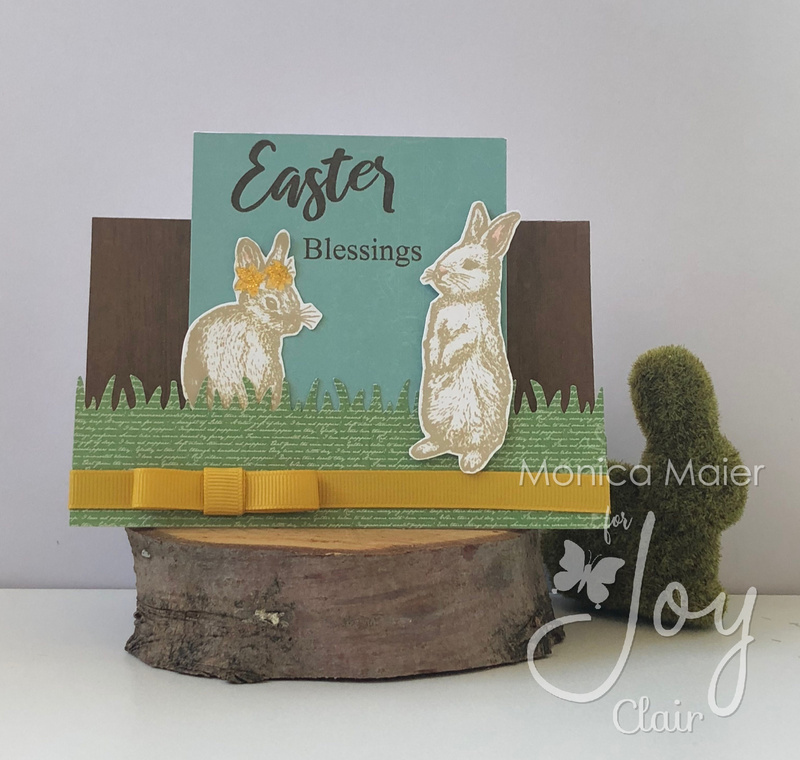 Love these adorable bunnies for the Easter Greetings set as well as the flowers in the set as well! Hop on over to the blog to see all the details! Thanks so much for stopping by and have a wonderful day! Here is a quick look of my card today following the inspiration photo. 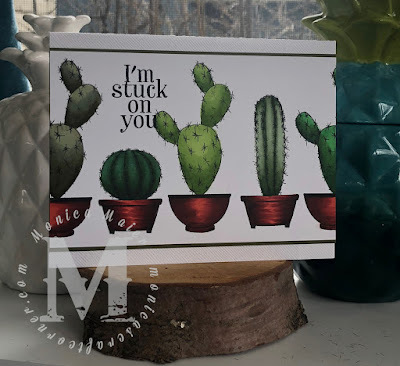 I used the greens with a little pop of red, the inspire my Cacti card! Love how it turned out. Thanks for stopping by the blog and have a wonderful day! It's time for the April Merry Little Christmas Challenge! This time I decided to use a Lawn Fawn set that my hubby got me for Christmas. Its so cute!!! Thanks for stopping by, can't wait to see what you share with us this month! Have a great week! 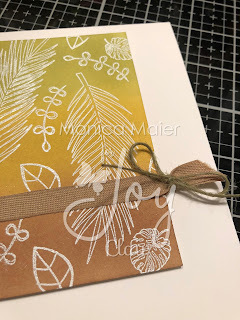 Today is a special post for Joy Clair as we are having a blog hop! We all are sharing projects using sets from Joy Clairs Color by Faith line. 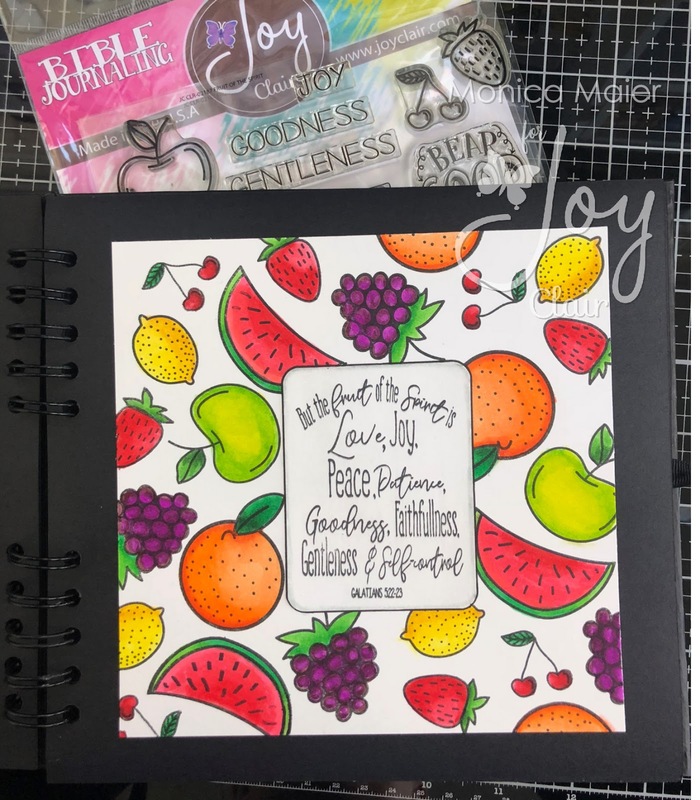 I chose to create another page for my faith art journal and I decided to use the set Fruit of the Spirit. 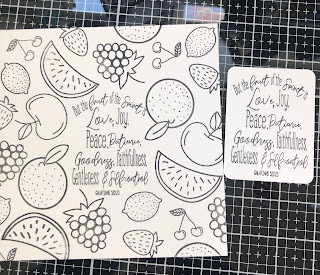 I started by stamping all the sentiment in the middle of my page before stamping the fruit. 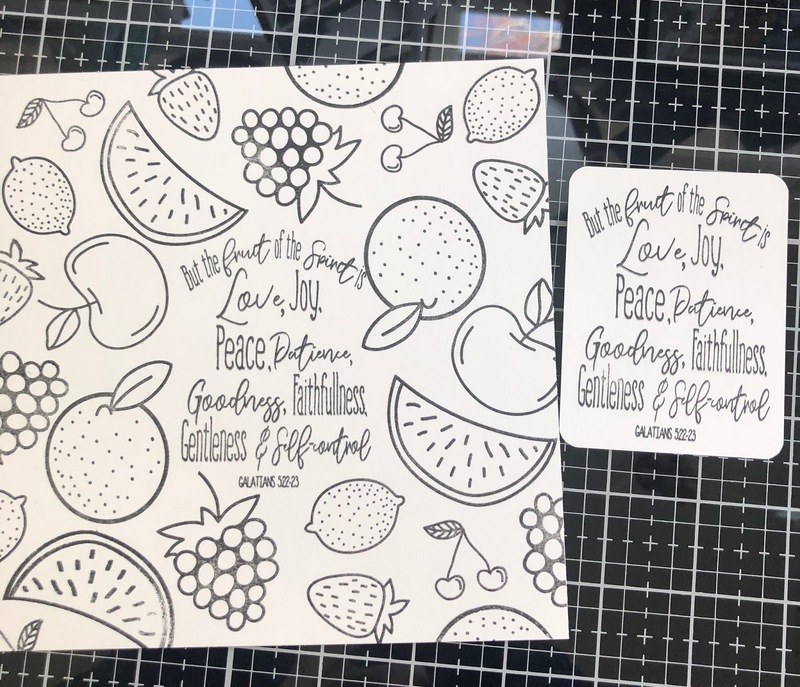 Once I was done I realized that I got a little to close with an orange to the sentiment, so I stamped it again on a separate piece of paper and rounded the corners. 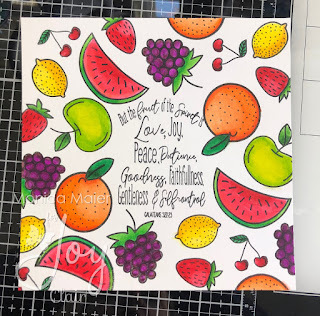 Then I colored all of my fruit with Arteza watercolor markers. 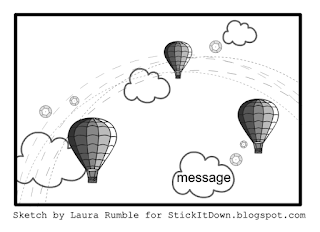 Once I was done coloring I added the sentiment panel to the page and lined with some gray and a thin line from a black pen. 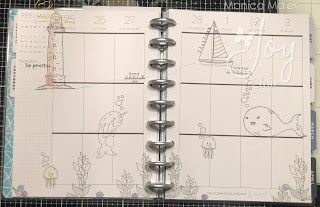 I then adhered my decorated panel to the page in the journal. Here is the hop line up, so you can continue on or start back at the top if needed! 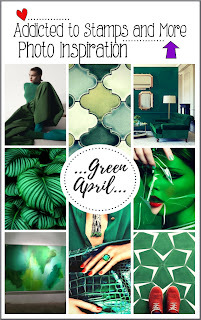 I hope you are enjoying the blog hop and getting inspired. Thanks for stopping by and have a great day! Hop on over to the Joy Clair blog to see all the details of the card! Thanks so much for stopping by and have a great day! Happy Monday or whatever day it is when you stop by! ;-) My boys on Spring Break and I wanted to join in on the fun with some butterflies on my card for Stick It Downs March card sketch! 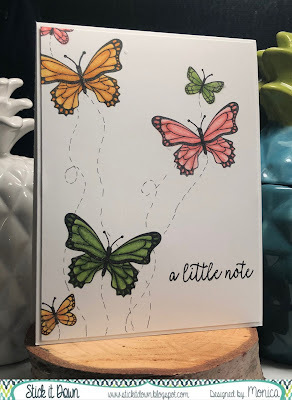 I recently purchased the Butterfly Gala set from Stampin' Up. Was going to do all stamping on the butterflies since it's a layering set, but decided to use Stampin' Blends to add color to my butterflies. 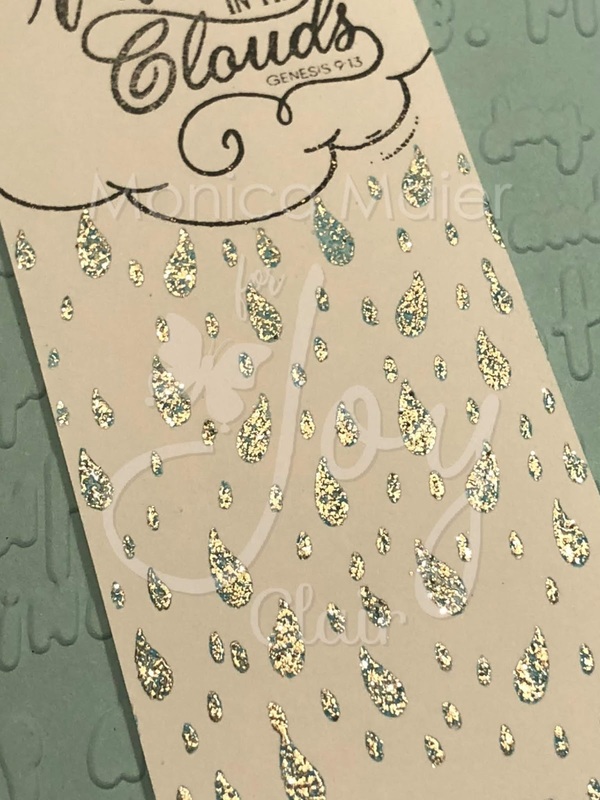 To finish the card I added some "trails" for the butterflies with a thin marker and added my sentiment! Thanks for stopping by! 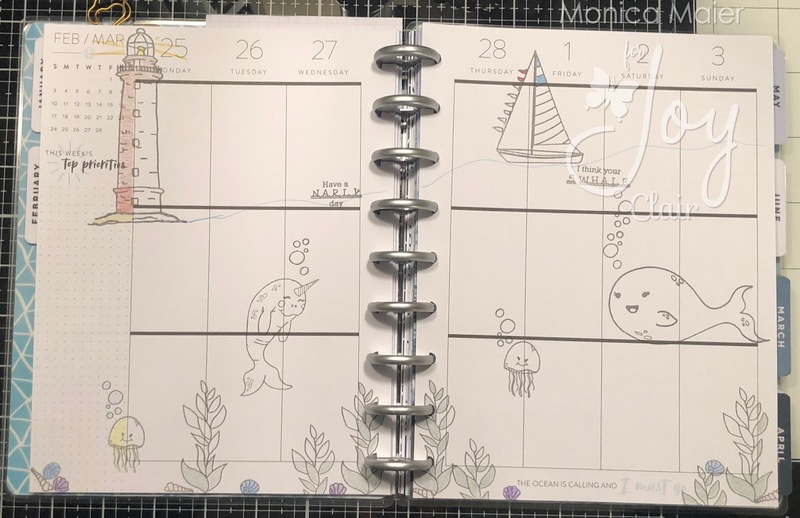 I hope to see you create something using the card sketch or even one of the scrapbook layouts we have going on this month over at Stick It Down challenge blog! 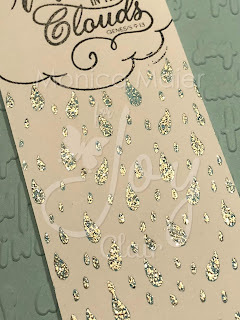 Here is quick peek at my card for the Joy Clair blog today. 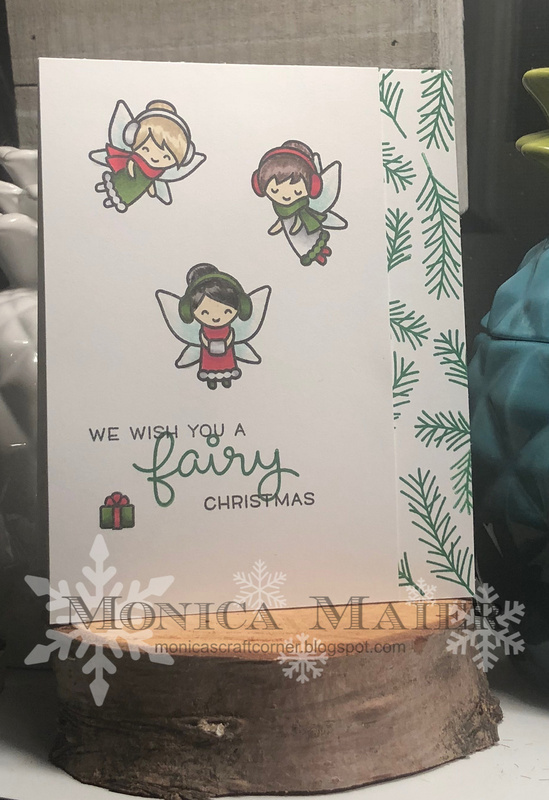 Hop on over the the blog here to see the whole card and get the details since this post is short and sweet!